It’s that time again for a holiday cookie exchange at work! This year, I had coworkers asking me to make the Earl Grey shortbread cookies again – which I did. I also decided to make something new, so I opted to change up a tried-and-true sugar cookie recipe with some matcha. 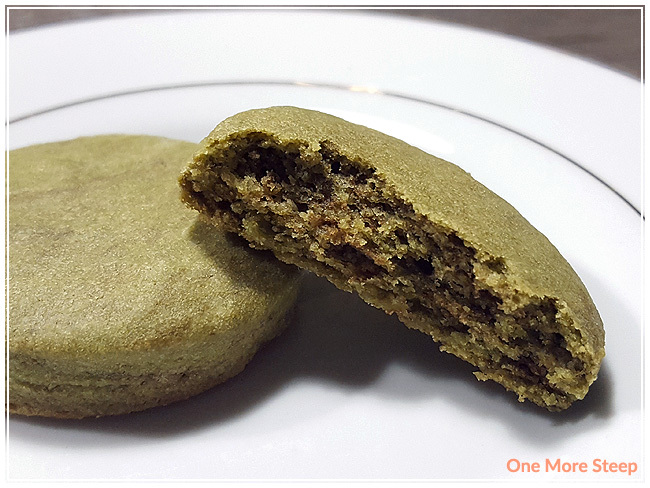 2 tablespoons of matcha was just enough to give the cookies the matcha flavour, but not too much to be overwhelming. 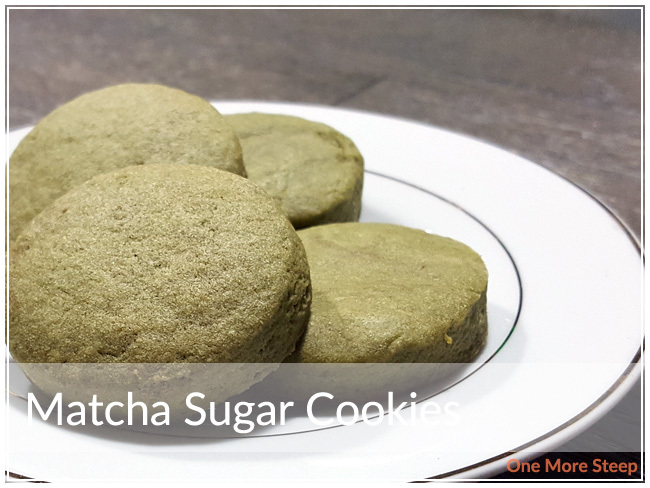 I hope you enjoy baking these matcha sugar cookies! Recipe Yields: 4 dozen. Baking Time: 8 minutes. Beat powdered sugar, butter, vanilla extract, and eggs together until well blended. Mix in flour, baking soda, and matcha. Roll out dough to approximately ¼” thick, cut into shapes with cookie cutters. On cookie sheets, lay out cookies at least 1″ apart. Bake 8 minutes or until edges are light brown. Recipe adapted from Betty Crocker The Big Book of Cookies, “Sugar Cookies”. If you make these delicious matcha sugar cookies, I’d love to see your photos! Be sure to tag me on Instagram (@onemoresteep #onemoresteep) or comment below with a link to the photo!